Carla van Huyssteen has been in incredible form, adding the 1000 Hills 38km win to her list of achievements on the trail this year. Image by Graham Daniel. Trail running is often defined by its camaraderie and greater sense of community, with like-minded people from all walks of life come together to support one another on the trails. 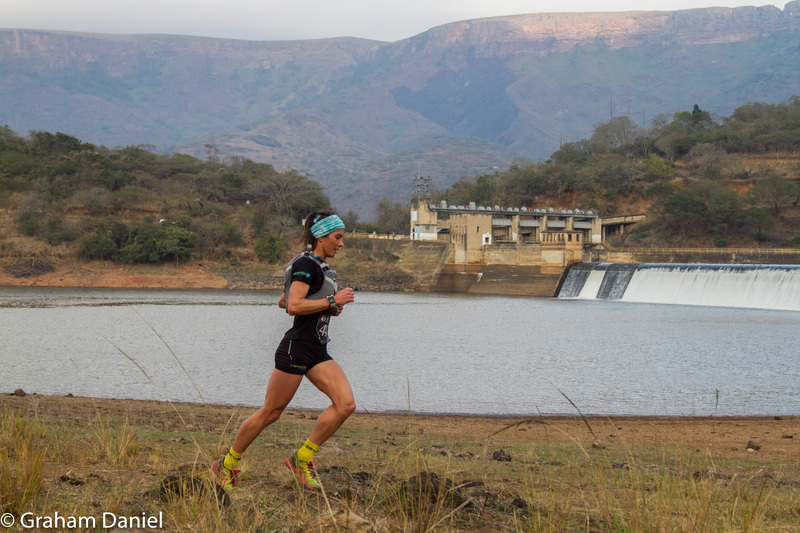 The 1000 Hills Challenge, which took place at Nagle Dam over the weekend, captivated this essence perfectly, featuring an incredible atmosphere and keen display of togetherness amongst the trail running communities. This premier trail running event is renowned for its tough routes, incorporating undulating climbs, sharp descents and a tricky river crossing or two across the various distance options. 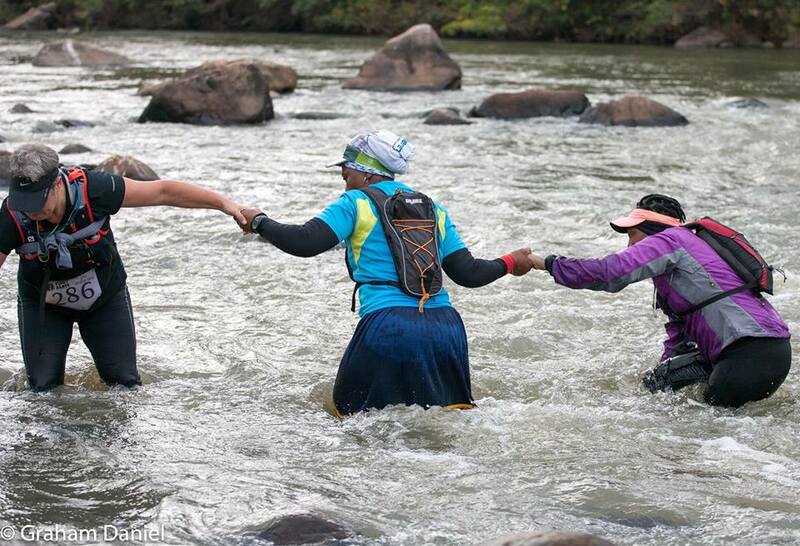 Yet it was in the face of these challenges that the spirit of trail running truly shone, as participants cheered one another on and assisted each other through the tough times. Commenting on the event, photographer Graham Daniel noted that, watching and photographing the river crossing, there was no sign of division. “Everyone was working together and putting their own advancement aside to make sure their fellow runners got across the river fine,” he said. The 1000 Hills Challenge, now in its sixth year, proved to be a massive success, with over 600 runners flocking to the beautiful, scenic Nagle Dam to participate in either the 38km, 20km, 10km, or 5km runs. KZNTR won’t move too far for their next event, the uMngeni River Run, which takes place on 20 August.